Truly unbeatable in it location and diversity, Camden is the perfect place for students to experience the very best of London. Away from the ordinary bustle of the city centre, Camden is vibrant jewel with its own pace, culture and lifestyle. With amazing food, unbeatable nightlife, cultural variety and authentic shops, stalls and boutiques, surrounded by the beautiful open spaces of the canal and Regent's park. It's a student paradise. 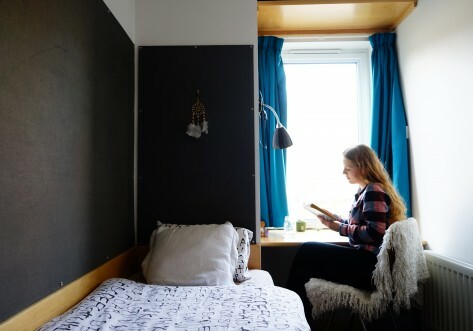 Every one of our fantastic studios is your own personal space, equipped with a private kitchenette, ensuite bathroom, double bed, flexible living space, study area and plenty of storage. Our dedicated staff are always on hand to help, and each property has 24/7 security and CCTV. Camden Town and Chalk Farm tube stations are less than 10 minutes away, giving quick transport to all London Universities. Also easily accessible are the areas of London Bridge, Charing Cross, Covent Garden, Kings Cross and Shoreditch. 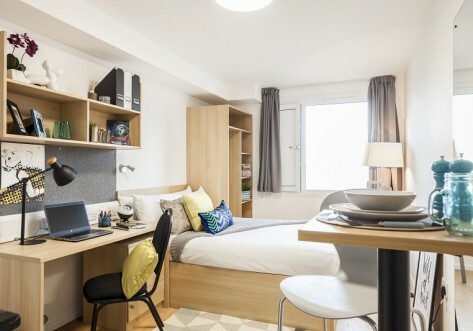 This property is perfectly situated for students studying at Regent's University, UCL, The Royal Veterinary College, City University of London or Birkbeck. 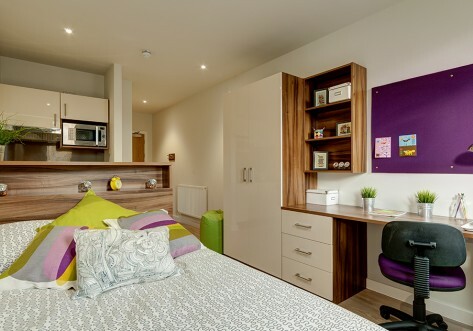 Our Accessible Studios are our most affordable room type for a great stay in London. They are fully equipped with kitchenette, living area, double bed and plenty of storage space. Extras such as linen, towels and kitchen utensils are provided free of charge. Due to their accessible nature the bathroom is larger than normal and many facilities have been lowered. A limited release, our Premium Single Studios are a brand-new category in Camden. These rooms each feature a separate shower & bathroom, single bed, private kitchenette and desk. All residents are provided linen, towels and kitchen utensils free of charge. Our most popular studios, these provide a little something extra over our standard Club Studios. Rooms feature a separate bathroom and shower, as well as private kitchenette, compact double bed, storage space and desk. 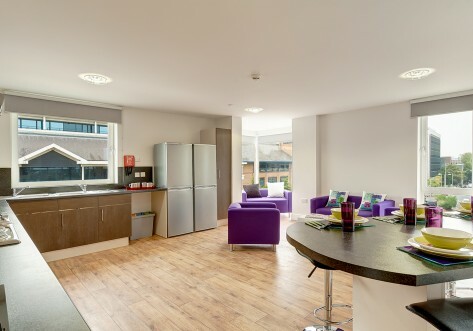 Everything you’ll need is provided, including towels, linen and kitchen utensils. Brand new and limited for this year, our Premium Suites are our very best rooms. Ideal for individuals, couples or sharing, these are spacious rooms complete with double beds, private bathroom, kitchenette, desk and lots of storage. Linen, towels and kitchen utensils are provided free.